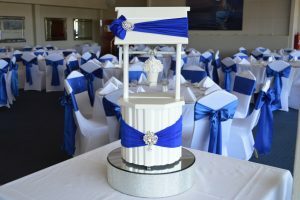 At Wish Upon A Well, we specialise in wishing well, Americana chair, lolly buffet and high tea hire for wedding ceremonies and receptions, engagements, baby showers, kitchen teas, bridal showers, anniversaries, birthdays and so much more. To view example of our past work and our hire equipment, please visit our Facebook page. Our testimonials speak volumes of our service. Nothing is more important to us than assisting you in creating a special and memorable day. Our online hire form makes it simple to select your hire items and provide us with the information we require to finalise your booking. If you would prefer speak to us before booking, please write to us on our contact page. Alternatively, you can email us at admin@wishuponawell.net.au. Our terms and conditions are available online; however, if there is anything you would like to ask, please call Stefanie or Michele on 0431405670.